KIMBERLY-CLARK PROFESSIONAL* signs an agreement to acquire Balder d.o.o. KIMBERLY-CLARK PROFESSIONAL* has announced it has signed an agreement to acquire Balder d.o.o. Founded in 1997, and based in Ljubjana in Slovenia, Balder is renowned for its work in developing auto-darkening welding filters based on patented electro optic LCD technology. 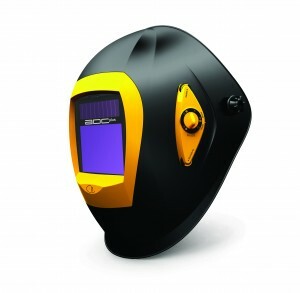 In addition, it has developed and produced a range of cutting-edge welding helmets and filters. The company was created out of the Josef Stefan Institute, Slovenia’s leading scientific research institute, and retains strong links with this organisation which will be preserved post-acquisition. Balder is to be integrated into KIMBERLY-CLARK PROFESSIONAL*. The close relationship Balder enjoys with its current portfolio of valued customers will continue. Balder’s flagship offering is the BH3 concept. This comprises BH3 welding helmets which provide market-leading standards of comfort and protection, combined with its state-of-the art auto darkening filters. These offer a range of benefits, including improved visibility in open state and better colour recognition. They are the world’s first auto-darkening filters to be rated 1/1/1/1 and the world’s first to be rated Class 1 for angular dependence. Creating the ultimate TH3 class certified welding package was achieved by combining the BH3 Air helmets with its strategic partner Clean-air’s powered air purifying respirator. ‘Exceptional Workplaces’ is a radical new approach designed to transform the way KIMBERLY-CLARK PROFESSIONAL* serves its customers. It will cover everything from product development to how products are taken to market. The Exceptional Workplaces strategy will be implemented via a series of platforms, each of which is based around the idea of partnering with individual businesses to create healthier, safer and more productive workplaces for their employees and patrons It will be delivered in co-operation with the KIMBERLY-CLARK PROFESSIONAL* distribution partner network. The terms of the deal are not being disclosed. The KIMBERLY-CLARK PROFESSIONAL* vision is to lead the world in essentials for a healthier, safer and more productive workplace. Known for innovative, quality solutions for away-from-home washrooms, ‘clean’ and ‘industrial’ manufacturing environments, and DIY settings, its global brands include KLEENEX®, SCOTT®, WYPALL*, KLEENGUARD* AND KIMTECH*. KIMBERLY-CLARK PROFESSIONAL *is part of the Kimberly-Clark Corporation and can be visited at www.kcprofessional.com. Kimberly-Clark and its well-known global brands are an indispensable part of life for people in more than 150 countries. Every day, 1.3 billion people – nearly a quarter of the world’s population – trust K-C’s brands and the solutions they provide to enhance their health, hygiene and well being. With brands such as Kleenex®, Andrex®, Scottex®, Huggies®, Pull-Ups®, Kotex® and Depend®. Kimberly-Clark holds the No. 1 or No. 2 share position in more than 80 countries. To keep up with the latest K-C news and to learn more about the company’s 138-year history of innovation, please visit www.kimberly-clark.com. JACKSON SAFETY* has been providing on-the-job safety products for more than 75 years. Acquired by KIMBERLY-CLARK PROFESSIONAL* in 2009, JACKSON SAFETY* offers a full range of personal protection equipment — including apparel, protective eyewear, face protection, head, hearing and respiratory protection — as well as market-leading welding and work-zone safety products. For more information, visit www.jacksonsafety.com. https://www.1stsafetynews.com/wp-content/uploads/2018/02/1stSafetyNewslogo-300x146.jpg 0 0 1st 4 Media https://www.1stsafetynews.com/wp-content/uploads/2018/02/1stSafetyNewslogo-300x146.jpg 1st 4 Media2012-08-07 16:09:182012-08-07 16:27:27KIMBERLY-CLARK PROFESSIONAL* signs an agreement to acquire Balder d.o.o.